Audio engineer Peter Cobbin talks about creating new mixes of Beatles songs for the colorfully inventive 1968 film “Yellow Submarine.” The animation classic, with its recent 4K restoration, screens at the SIFF Cinema Egyptian starting Friday, July 13. But that’s pretty much what happened to audio engineer Peter Cobbin when he was given access to the Beatles’ original master tapes to create new mixes of songs for an anniversary reissue of the band’s colorfully inventive 1968 film “Yellow Submarine.” The animation classic, on a 50th-anniversary theatrical run this week with its recent 4K restoration, will be screening in Seattle at the SIFF Cinema Egyptian starting Friday, July 13. Two decades ago, Cobbin recalled, the world of surround-sound audio for film was relatively young. Yet he was charged not only with creating a stereo mix for the film’s soundtrack, which originally was in mono, but he also had the task of coming up with a 5.1-multichannel version that could be shown in theaters as well as enjoyed by the relative few consumers who had surround-sound systems at home at that time. The rights to the film, created by members of the same team that made the Beatles TV cartoon series that aired for three seasons on ABC-TV from 1965 to ‘67, belonged then to MGM/UA, which was interested in celebrating the movie’s 30th anniversary. 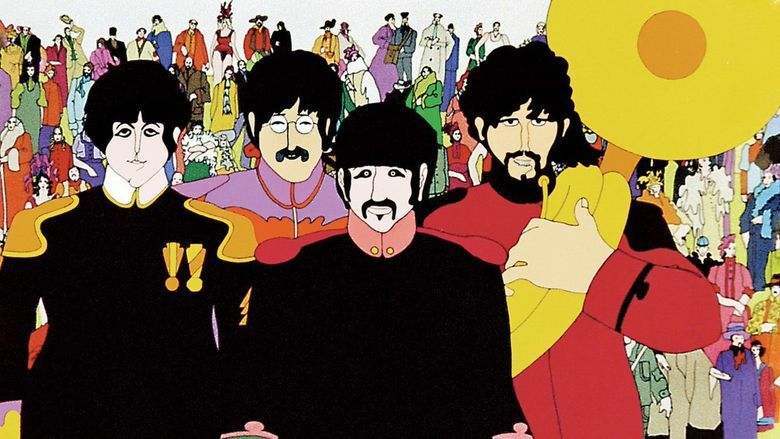 The group members were voiced by actors rather than the Beatles themselves, as also is the case for the “Yellow Submarine” film. The movie was directed by George Dunning, who also had worked on the TV show. “Finally when everyone (at MGM/UA and Apple Corps, the Beatles’ company) were feeling pretty good about it, the big day came when the Beatles came in to listen to it,” Cobbin recalled. “That happened in the early stages of 1998. Contemporary audiences will have the chance to experience the remixed music as well as the 4K digital restoration of the film itself that was done in 2012 for the DVD/Blu-ray home video release. The original was restored by hand, frame by frame, rather than using automated software. In that case, what started as one- or two-week engagements in several dozen theaters was extended several times and expanded to hundreds more theaters as enthusiasm spread for the well-regarded look at the group’s legacy as the world’s most popular live act in the mid-1960s. Abramowitz isn’t necessarily expecting the same level public response to this 50-year-old film but nevertheless said, “There is huge demand for it. “We’re counting on an audience of at least three generations who are going to want to experience it in theaters,” Abramowitz said. For Cobbin, the mission with the sound of “Yellow Submarine” songs — a roster that includes not only the title track but “Sgt. Pepper’s Lonely Hearts Club Band,” “Eleanor Rigby,” “Lucy In the Sky With Diamonds” and “All You Need Is Love,” among the 15 cuts used in the film — was to channel the same sense of experimentation that went into the inventive animation. In fact, the balancing act required more time than anyone originally thought and pushed the 30th-anniversary release from 1998 into 1999. He’s referring to a painstaking process in which the film was restored by hand for the 4K restoration to retain the original character of the animation. “It’s really quite a simple story,” he said, “but it is told using a really rich cloth, this tapestry of wonderful almost surrealist pop animation.